A catalogue of 150,000+ tracks. A super-powerful set of search tools. Find exactly what you’re looking for. Use keywords or filters to find what you’re looking for. Enter keywords into the search field and these will appear as tags above your search. With search filters you can view our most popular styles or click to show all. 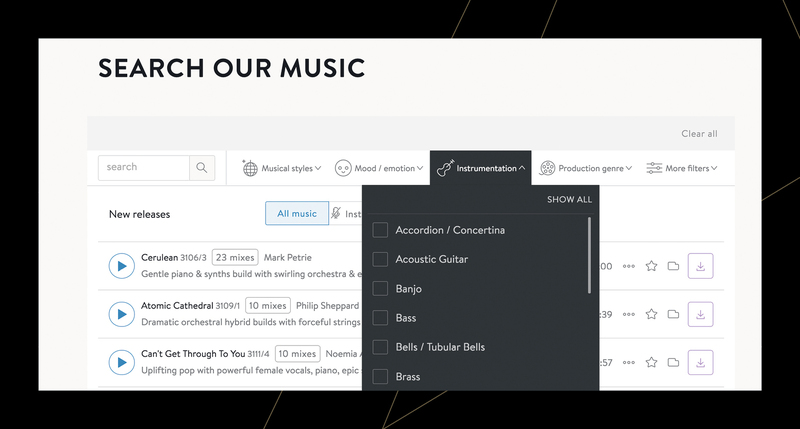 Refine your search even further by clicking on More Filters to specify track duration and tempo. Listen to additional tracks from the same artist or album by clicking the (...) icon next to the track. Use the ‘filter vocal’ option to find instrumental-only tracks. Scroll to the footer of the page to see a range of music menus, artists and albums. 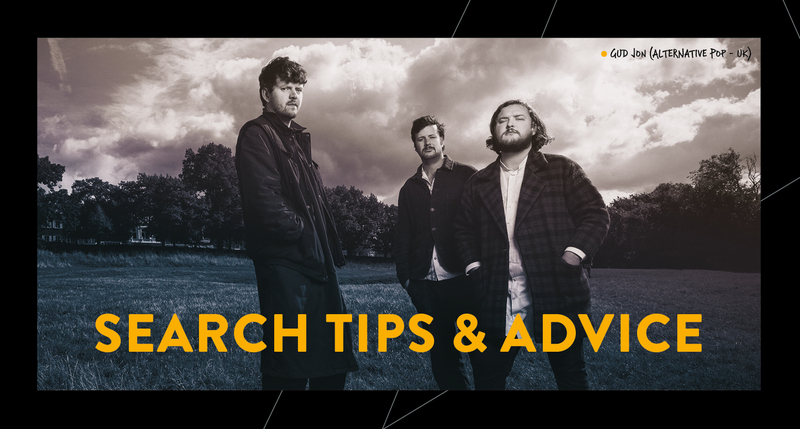 If you still can't find what you're looking for, get in touch. We're always on hand to help whenever you need us, call +1 64 6688 4320 or email nyoffice@audionetwork.com and we'll put you in touch with a friendly contact in your part of the world!